Amid all the jingle-jangle and twinklely lights of the Christmas season, we can sometimes assume that everyone has joy. But many of us know this is not the case. Whether it’s because of loss or hurt or heartache, many of us come to this season finding that it isn’t joy that fills our hearts, but sadness, darkness and dread. 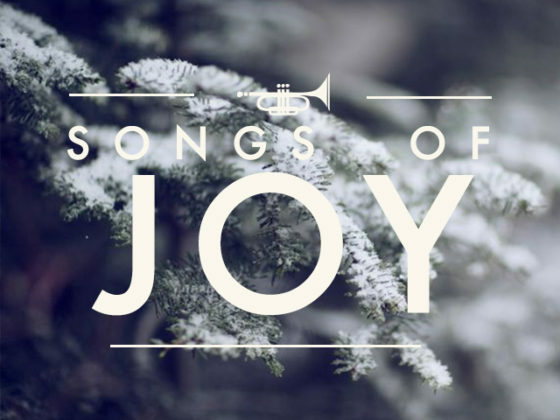 This Advent, we are looking to God’s Word as an answer to the question of where do we find true joy? In the opening chapters of Luke’s Gospel, we find that God, in his mercy, breaks into human history not with medicine, or a philosophy, or a program — but he breaks onto the scene himself. In the birth of Jesus, we find the hope for salvation, for redemption, for grace….for JOY! given on Dec 24, 2017.
given on Dec 17, 2017.
given on Dec 10, 2017.
given on Dec 03, 2017.
given on Nov 26, 2017.